So, after recent skin prick tests and blood tests came back showing that my biggest boy’s reaction to hazelnuts had decreased, he was booked in to the children’s hospital for a food challenge. Scary but exciting. We were asked to bring along some Nutella … not something we have ever had in our house. So I dutifully bought it and Will ate it with great gusto! He was absolutely delighted to have a new food – especially such a sweet treat one – in his diet! Thankfully he passed the challenge and now needs to include hazelnuts in his diet at least once a week for the next couple of years. 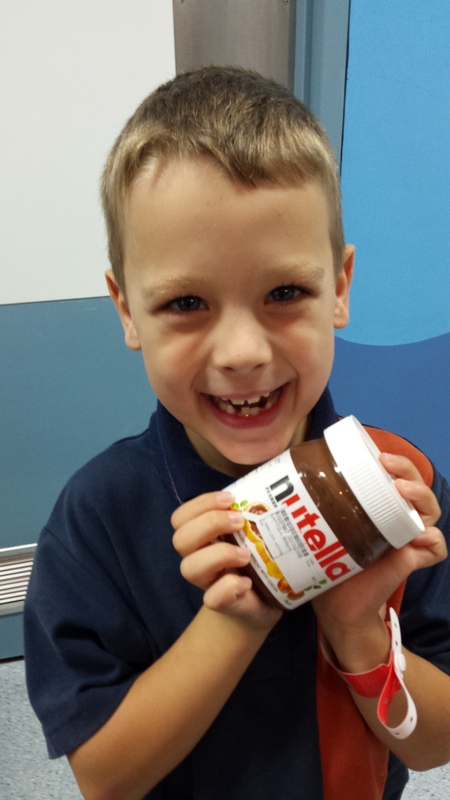 Given that the first ingredient in a jar of Nutella is refined sugar, then followed by oil, it is not something I really want to feed to him on a regular basis! 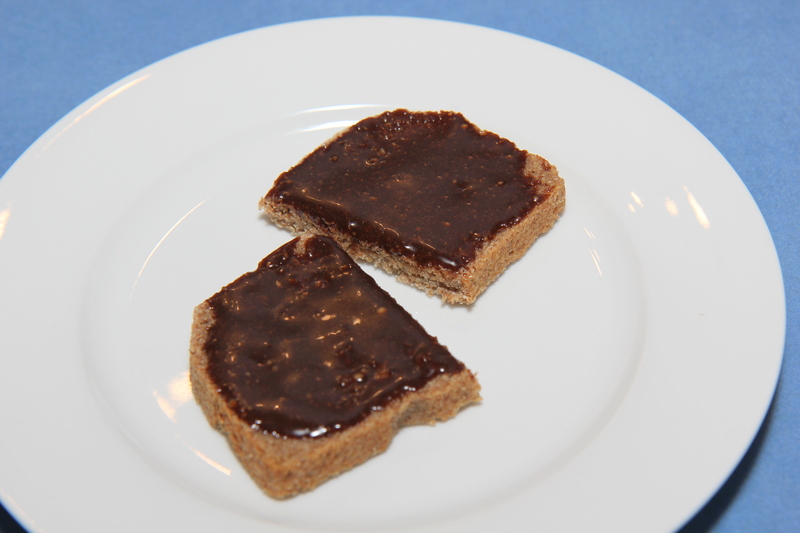 So I set about making a sweet choc nutty spread of my own, without all of the added extras. 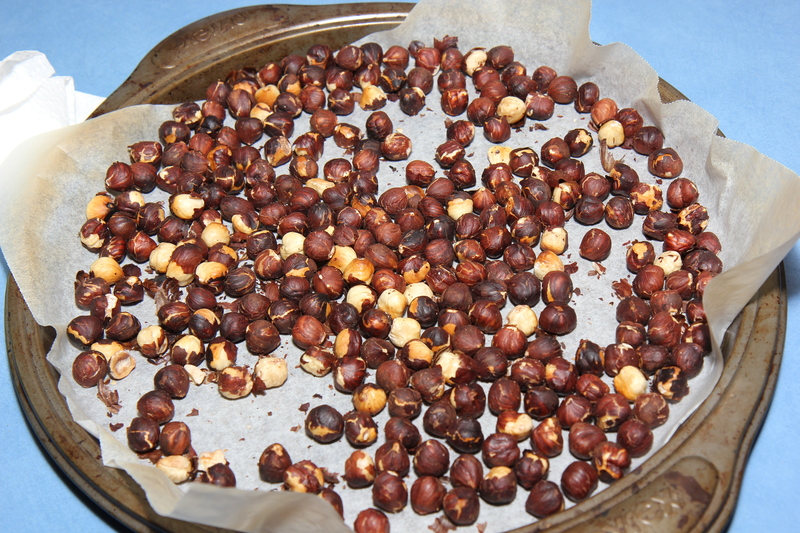 While the nuts are roasting, seed the dates and cover them with the boiling water. Add the vanilla and salt to the water. 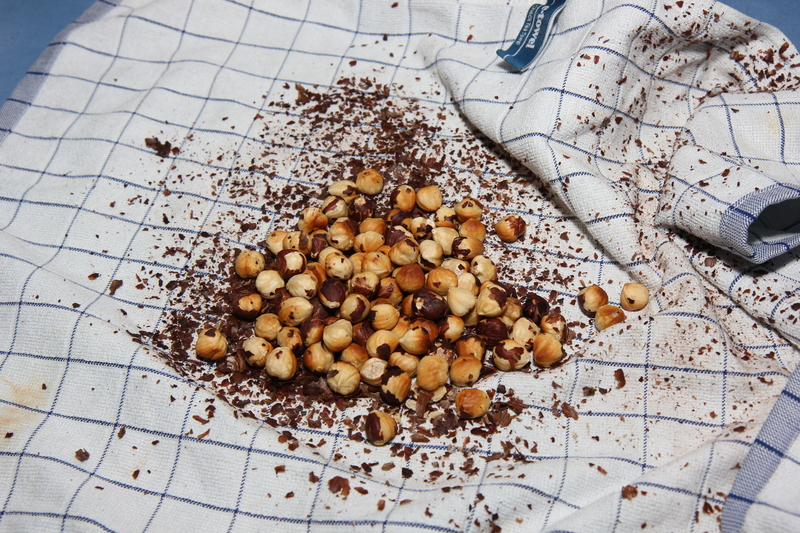 Process the hazelnuts (after rubbing them in a towel to remove skin) for 10 seconds on speed 10. (This will take longer in a food processor). Their oils release best while they’re hot so if you’ve bought roasted nuts, place them in a hot oven for a couple of minutes first. Scrape down sides and repeat. Add the date mixture, water and all, to the hazelnut mixture and process again until well combined (10 secs on speed 8, scrape and repeat twice). Depending on the level of sweetness you enjoy add the maple syrup here and process again to combine well (Speed 7, 10 seconds). Yep – you can eat this one by the spoonful too!! P.S. If you enjoy cheesecakes, leave about 1/3 of a cup of this mixture in your processor and blitz it together with 200g of your favourite plain biscuit (we used LEDA arrowroots) to make a great crumb base. It heads to the freezer until needed!